Pagefile in Windows 10 is a hidden system file with the .SYS extension. It is stored on your computer’s system drive (usually C:\). The Pagefile allows the computer to perform smoothly by reducing the workload of the physical memory, RAM. Simply put, every time you open more applications than the RAM on your PC can accommodate, the programs already present in the RAM are automatically transferred to the Pagefile. This process is technically called Paging. 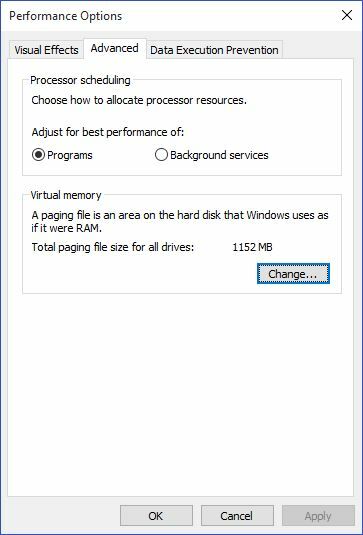 Because the Pagefile works as a secondary RAM, many times it is also referred to as Virtual Memory. The minimum and maximum size of the Pagefile can be up to 1.5 times and 4 times of the physical memory that your computer has respectively. For example, if your computer has 1 GB of RAM, the minimum Pagefile size can be 1.5 GB, and the maximum size of the file can be 4 GB. By default, Windows 10 automatically manages the Pagefile according to your computer’s configuration and the RAM present in it. However, if you ever face lagging while working on Windows 10, or you start getting the PAGE_FAULT_IN_NONPAGED_AREA or KERNEL_DATA_INPAGE_ERROR Blue Screen of Death (BSOD), managing the size of the Pagefile manually is the first thing you should look for. 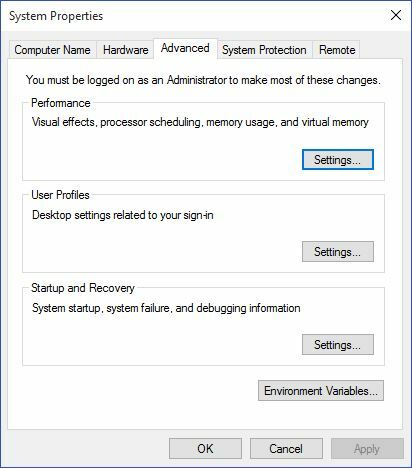 ■Use an administrator account to log on to Windows 10. ■From the desktop screen, right-click the Start button to open its context menu. 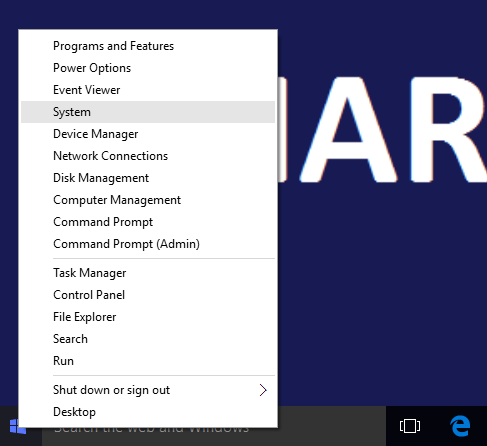 ■From the left pane of the System window, click Advanced system settings. ■On the System Properties box, ensure that you are on the Advanced tab. ■Click the Settings button from under the Performance section. ■On the Performance Options box, go to the Advanced tab. ■Click the Change button from under the Virtual memory section. 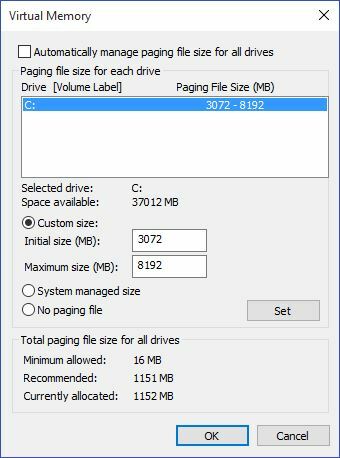 ■On the Virtual Memory box, uncheck the Automatically manage paging file size for all drives checkbox. ■From below the list, click to select the Custom size radio button. ■In the now-enabled fields, type the minimum and maximum size of the Pagefile in megabytes (MB) according to the physical memory present in your computer. ■Click Set and then click OK.
■Restart your computer when done.